I have a healthy dinner idea for you. 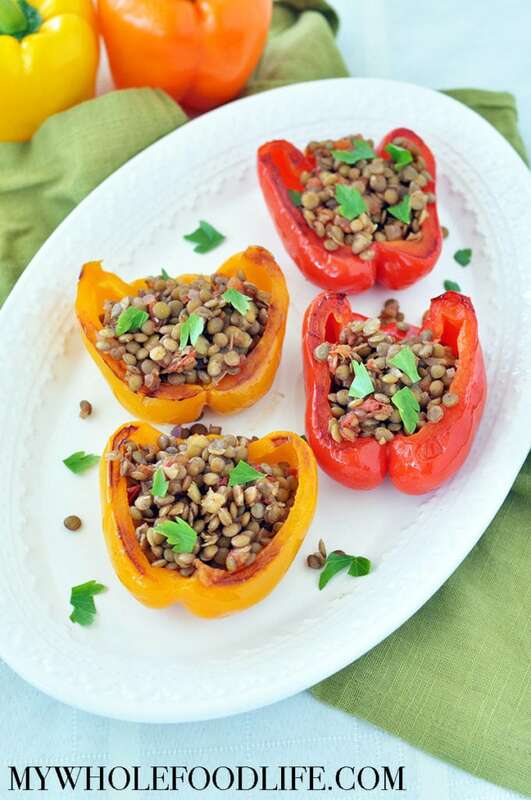 These Healthy Lentil Stuffed Peppers. They are super simple to make and are great for a weeknight meal! You can even make the lentil mixture ahead of time, so all you have to do is cook the peppers and fill. This recipe not only includes the stuffed peppers, but you also get a recipe for homemade taco seasoning as well. You will have some left over after making this recipe. The taco seasoning is really yummy on roasted veggies as well! We also recorded a short video for this recipe. If videos are more your thing, you can follow my You Tube channel here. I post new videos pretty regularly. Is there a vegan in your family? I have the perfect recipe for you. 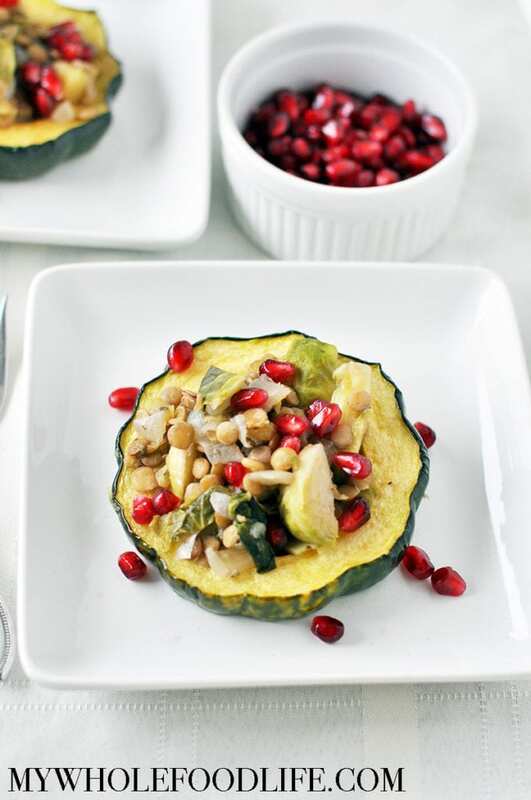 This Lentil Stuffed Acorn Squash is healthy, easy, and very flavorful! For Thanksgiving a few years ago, we served a wild rice stuffed acorn squash and it was a huge success. Even with the meat eaters! You can make the filling a day ahead if you like. It should hold up great. Then on the day you are serving, all you need to do is roast the squash and assemble. 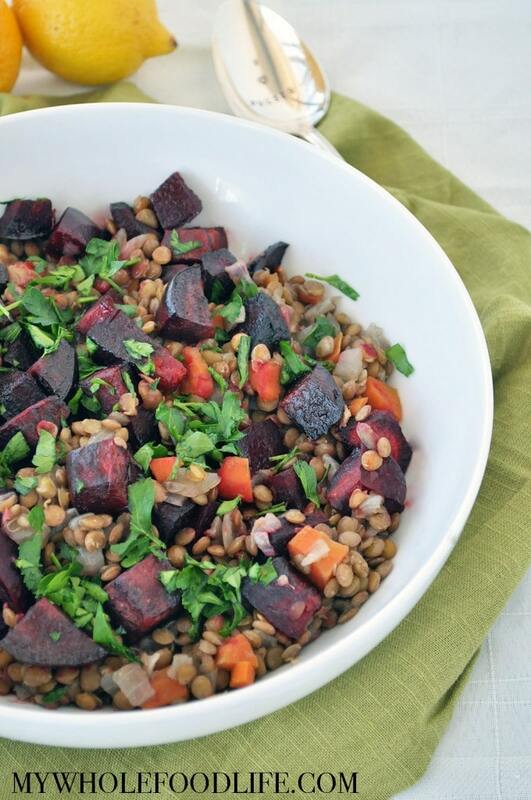 I love all the colors in this healthy recipe. When I went to buy the squash for this, they only had tiny acorn squashes, so that is why mine look kind of small. However, the beauty of this recipe is that you can make the squash any size you like. The filling is also pretty delicious on it’s own. Now that it’s officially Fall, I can share lots of soup and stew recipes. 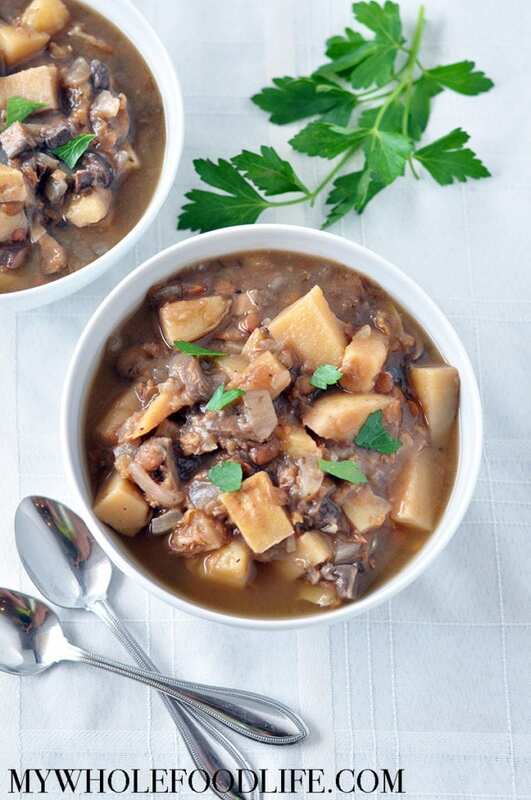 Starting with this Mushroom Lentil Potato Stew! This meal is so hearty and it will keep you full for quite some time. 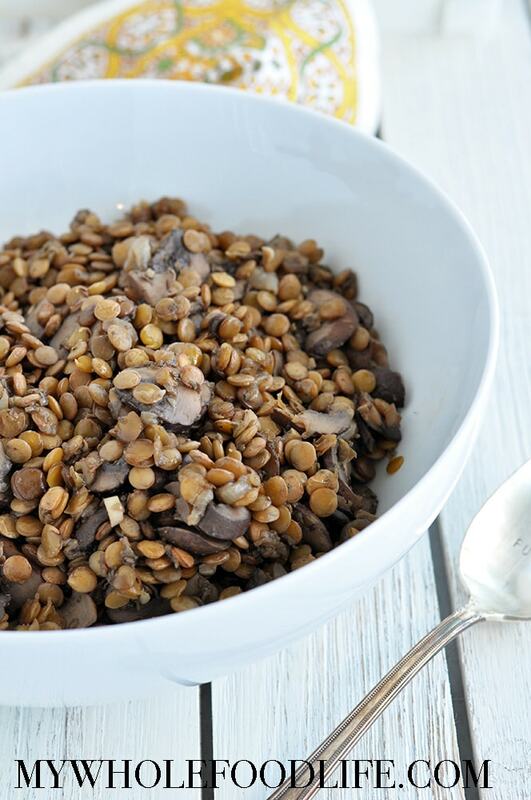 The lentils make the soup by adding lots of protein and fiber! 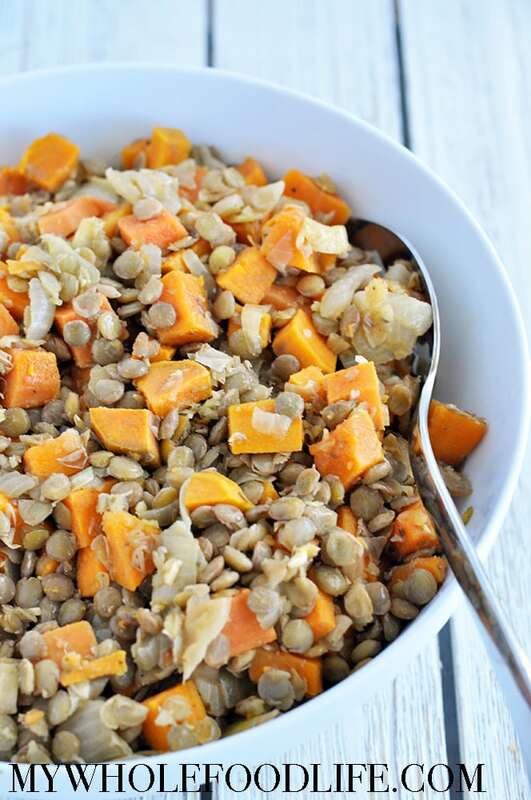 Lentils, along with beans, dry peas and chickpeas, all fall under the category of pulses.